Those to whom men said, ‘People have mustered against you, therefore fear them,’ but this only increased their faith, and they said, ‘Sufficient for us is Allah, and an excellent Guardian is He.’ (3:174). This strength of faith and spirit to sacrifice one’s life in the cause of God can be seen in the account of the Battle of Uhad. Due to the error of a small group of Muslims, a battle that had been clearly won was turned around and the pagans of Makkah attacked once again incurring heavy loss on the Muslim side. The Holy Prophet (peace and blessings of Allah be on him) lost his blessed tooth but the Companions gathered around him in a manner that no force could move them and each attack of the enemy met with failure. The pagans of Makkah appeared to have the upper hand, although not in the militarily. The Arabs taunted them that they had imagined to retaliate for Badr, but what sort of a victory was this where there was neither any bounty of war nor any prisoners. This incited the pagan to return to the battlefield and attack the battle-weary and injured Muslims. The Holy Prophet (peace and blessings of Allah be on him) got wind of this. He gathered the Companions and prepared to chase the pagans but said that only those would participate who had been to Uhad. Imagine the weary and the injured Companions, 250 of them set out with the passion of a victorious army. When they encamped the Holy Prophet (peace and blessings of Allah be on him) ordered that fire be lit in 500 spots. It was a most impressive sight from distance. The pagans of Makkah thought it better to go back. The Muslims too returned after a stay of two three days, God’s awe having struck the pagans. It is significant to note that on return from Uhad Abu Sufyan had declared and challenged that they would fight the Muslims at Badr one more time. The Prophet (peace and blessings of Allah be on him) accepted this callenge. In 4 Hijra the Muslims prepared an army of 1500 while Abu Sufyan prepared an army of 2000. His spies had informed him about the numbers of Muslims and he was secretly perturbed that their number was not large enough. He sent a man to Medina to scare the Muslims into believing that a very large Makkan army was on its way. However, God states such propaganda by the enemy actually enhances Muslims in faith. Their reply was and always is: ‘Sufficient for us is Allah, and an excellent Guardian is He.’ The 1500 Muslims reached Badr but the pagans of Makkah went back from a little outside Makkah. They said it had been a famine year and their preparation was not adequate, they would come the year after. Death had scared the pagans off whereas it enhances believers in faith. Hudhur said the history of Islam is full of incidents where the scare-mongering of the enemy did not work. Today, the believers should respond in the very same manner. Today the followers of the Promised Messiah respond in the same vein when efforts are made to scare them. True believers are not frightened of the scare-mongering of any group, any legislative body or any organisation. They are always steadfast and firm on faith. They are beaten up, abused and their lives are taken, but they are never in awe of anyone save God, their response is always: ‘Sufficient for us is Allah, and an excellent Guardian is He.’ The more the enemy tries the more they turn to their Lord. Hudhur said today there is great opposition towards our community in some countries. This, in fact is a testimony of its truthfulness. In their opposition all the 72 sects of Islam have tried their utmost in Pakistan but have not been able to harm Ahmadis, indeed, they cannot harm them. Apparent loss is nothing for a true believer, the real thing is faith. Hudhur said he receives letters from parents and families of the martyred Ahmadis expressing a greater and enhanced spirit of faith and sincerity. Now, opposition is growing in parts of India as well and the situation in Bangladesh too continues to be adverse at any given opportunity. In some Arab countries, be it Syria or Egypt, situation is similar as it is in Bulgaria and some ex-Soviet states where the Muftis pressurise our community. Opposition of the community of the Promised Messiah (on whom be peace) in different parts of the world confirms its global significance. Those who appreciate and understand the Divine attribute of Al Hasib will always respond that no matter how much opposition there is, their reply is: ‘Sufficient for us is Allah, and an excellent Guardian is He.’This is what we have learned from the Companions of the Holy Prophet (peace and blessings of Allah be on him). The Promised Messiah (on whom be peace) said, ‘These verses illustrate that true courage derives from steadfastness. To be steadfast against every personal passion or against any calamity that attacks like an enemy and not to run away out of cowardice is true courage.’ (The Philosophy of the Teachings of Islam’ p. 77). Hudhur explained that the Promised Messiah (on whom be peace) unfolds a different perspective for us here, that aside from apparent enemy, passions of the self can also be aggressive like an enemy. To overcome passions of the self also enables one to contend with apparent enemy. Therefore one has to submit oneself completely to God and it is then that one experiences the manifestations of the Divine attribute of Al Hasib beyond one’s imagination. The Promised Messiah (on whom be peace) also said that joining his community entailed following it’s teaching in the face of all opposition. He said that the Holy Prophet (peace and blessings of Allah be on him) and his Companions faced bitter persecution for thirteen years but eventually all the enemies were obliterated. God has willed that this community too will spread in the world and when it will gain in numbers, the opponents will be silenced. God wills to give training of patience through these circumstances. He wrote that many who used to be abusive repented and took bai’at. Patience is also a kind of worship and has countless blessings. Pain strengthens faith. Do they not see that We are visiting the land, reducing it from its outlying borders? And Allah judges; there is none to reverse His judgment. And He is swift at reckoning. (13:42). Hudhur explained that God has His own way of chastisement and knows well when to punish whom. It is not essential for Him to implement prompt chastisement. Chastisement can be a sign and its objective is reformation. It is in God’s knowledge who will desist in their opposition of Prophet of God and will be reformed and who will reform after slight punishment and who will never desist. It is these people who are chastised. Hudhur explained that some enemies of Prophets of God are brought to account during the lifetime of the Prophet while others are not. The Holy Prophet (peace and blessings of Allah be on him) accurately foretold the exact locations where some of the enemies would lose their lives in the Battle of Badr. There were indeed some among the enemy who later accepted Islam and were saved in the various battles. The real objective of a Prophet and his followers is to spread the message, punishment is not their aim, rather, it is to make people worship God. As a matter of principle those who have been warned will be chastised, whether in this world or the next. That only God knows. Accountability is with God. Hudhur said some people object that this prophecy or that prophecy has not been fulfilled. It will all be evident in the Presence of God. Ahmadis are witness to the fact that many prophecies have indeed come to pass, others are coming to pass and each new day makes the truthfulness of the Promised Messiah (on whom be peace) evident. In verse 42 of Surah Al Rad God states that can the opponents of truth not see that God is ‘reducing earth from its outlying borders’? Hudhur said Islam spread rapidly in its early years and numerous came in the sphere of its safety and security. When God decreed He also punished. It is God’s verdict that either great numbers accepting Islam reduce the earth for enemies of Islam or natural disasters reduce land for them. This happened in the past, is currently happening and will happen in the future. When God is with His Prophet then who is it that can come in the way? There is none who can reverse God’s decree. Therein God has given hope and courage to true believers that as long as they continue to be true servants of God, they will have no fear. God is swift in reckoning. Verse 45 of Surah Al Anbiya states the same subject: ‘Nay, We provided those and their fathers with the good things of this world till life grew long for them. Do they not see that We are visiting the land, reducing it from its outlying borders? Can they even then be victors? (21:45). Hudhur said if a nation has been in power for a long period of time and feels superior about it, certainly such situations are not permanent. In fact God states that He generously provides generations upon generations of a nation but it should always be kept in view that great big nations were diminished in the past. In recent past the European nations lost much of their power. They had colonised huge parts of the world and now they are diminished. Russia too had spread over a vast area but many of its nations have gained independence. This very destiny will one day be repeated in America. Smaller countries too may not have any presumptions, they too can diminish. However, there is glad-tiding for Islam, there is glad-tiding for the followers of the Promised Messiah (on whom be peace) that Islam will be triumphant. Our Tabligh efforts are humble, our task is to spread the message with love. However, we see glimpses of what Divine decree can do in the form of earthquakes and other calamities. If only the Muslims too would abandon their opposition and become a part of the destiny that will come to pass through the Promised Messiah (on whom be peace). Hudhur said the current-day calamites and disasters are also a sign of support for the Promised Messiah (on whom be peace). Many people query that the opposition is from the false Imams, why then are the poor and disadvantaged being killed in these disasters. Explaining this, the Promised Messiah (on whom be peace) said that it is the way of God that when all limits are exceeded in accusing truthful people of God of falsehood and they are persecuted, all kinds of calamities occur in the world. All Books of God state this as does the Holy Qur’an. Just as at the time when Moses (on whom be peace) was accused of falsehood all kinds of calamities befell Egypt. Although the far-afield people of Egypt had not even heard of Moses (on whom be peace) and therefore had not sinned. While the Pharaoh was saved, the unaware were killed. Again, in the time of Jesus (on whom be peace) those who wanted to kill him through crucifixion remained unharmed. However, forty years later thousand of Jews were killed and there was an outbreak of plague. The Qur’an proves that this was due to Jesus (on whom be peace). Similarly in the times of the Holy Prophet (peace and blessings of Allah be on him) a seven year famine took place and most of the poor died whereas the great big evil-doers were saved for a long period. In short it is the way of God that when someone comes from Him and is accused of falsehood, all kinds of calamities come to pass. However, people who have nothing to do with the accusation of falsehood are caught up in the calamities. Gradually the false Imams are seized and the time of the wickedest comes in the end. The natural calamities that follow accusation of falsehood on God’s appointed people are general and not specific. Hudhur said a few days ago a huge earthquake struck Chile. Two months ago an earthquake had struck Haiti. The Chilean earthquake was 64–times stronger than the Haitian quake. 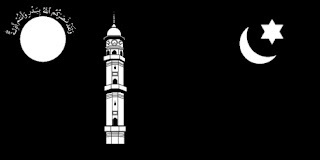 Hudhur said these are signs in support of the Promised Messiah (on whom be peace). Hundreds of thousands of homes have been damaged. It is being said that the Chilean earthquake is the seventh most dreadful earthquake since records began. The earthquake has taken off 1.26 milliseconds from Earth day, which is now this much shorter. Scientists have also recorded that the powerful quake shifted the Earth’s figure axis by three inches. Hudhur explained this is the axis about which the Earth’s mass is balanced. Thus a situation is arisen to ‘reduce earth on its outlying borders’. The Promised Messiah (on whom be peace) indeed foretold earthquakes as one of his signs. A quake struck Chile in 1906 which the Promised Messiah (on whom be peace) had called as a sign in his support. From 1570 to 1835 five earthquakes struck Chile. The next one struck in 1868 and then the 1906 one. Since then Chile has been struck with eighteen powerful earthquakes. The Promised Messiah (on whom be peace) wrote at the time of the Chilean earthquake of 1906 that he had had his prophecies about strong earthquakes striking the world published many times so much so that the earth would disintegrate. He wrote that the earthquakes of San Francisco and Formosa that came in accordance to his prophecy were known to all, but recently, on 16 August 1906 an earthquake had struck Chile which was no less powerful. It destroyed fifteen towns, thousands lost their lives and hundreds of thousands were made homeless. Some could ask how could this be a sign, as these earthquakes did not strike Punjab. They did not realise that God is the God of the entire world not just of the Punjab and He had informed the Promised Messiah (on whom be peace) about the whole world. It was unfortunate that accusations of falsehood were levied in the Punjab. The Promised Messiah (on whom be peace) warned that just as earthquakes had struck according to prophecies in America and Europe, they would strike in Asia, some of which would be a picture of Day of Judgement, obliterating life en masse. So much so that those with wisdom will find this extraordinary and no worldly knowledge will be able to explain the phenomenon. This is when mankind will get anxious and many will be given salvation while many will be destroyed. This will come to pass in the not too distant future and many other dreadful calamities will take place. Some occurring from the skies, others on the earth. This will be because mankind has stopped worshipping God and all attention is focussed on the world. The Promised Messiah (on whom be peace) said had he not come, these calamities may have been slightly delayed, but with his coming the hidden will of God had been made evident, just as God has declared: ‘…We never punish until We have sent a Messenger.’ (17:16). Those who repent will be granted refuge. A famous quote of the Promised Messiah (on whom be peace) in this regard states: ‘O’ Europe, you too are not in peace and O’ Asia, you too are not safe, and O’ dwellers of the islands no false god will help you. I see cities being demolished and find populated areas desolated. The One and Only God remained silent for a long time while repulsive things were done in front of Him and He said nothing. But now He will manifest His countenance with awe. Those who have ears to hear may listen that the time is not far. I tried to gather everyone under the refuge of God, but it was certain for what was destined to be fulfilled. I say most truthfully that the turn of this country is also approaching. You will witness the time of Noah and you will see the incident of Lot. But God is lenient in chastisement. Repent, so that you may be given mercy. A person who leaves God is a worm not a man and a person who does not fear Him is dead not alive.’ Hudhur added that this warning is specifically for the region of India and Pakistan. Hudhur prayed that may God give sense and understanding to the world to recognise one sent from God and is thus spared God’s chastisement. May He also enable us to take the true message of Islam to others and may each difficulty and trouble in this cause strengthen our faith and may we not abandon our task out of fear. May God enable us so.